Fitch Ratings on Tuesday maintained India's rating at 'BBB-' on a "still-weak business environment" despite the Centre's pitch for an upgrade on its structural reforms agenda. Fitch affirmed India's long-term foreign and local currency ratings at 'BBB-', the lowest investment grade. The government, in its earlier meetings with Fitch Ratings officials, has been reportedly pitching for a rating upgrade on improved macroeconomic indicators and fiscal consolidation. "The impact of the reforms programme on investment and real Gross Domestic Product growth will depend on how it is implemented and the extent to which the government continues its strong drive to improve the still-weak business environment," Fitch Ratings said here in a statement. "India's sovereign ratings balance a strong medium-term growth outlook and favourable external balances with a weak fiscal position and difficult business environment," it said. However, the business environment is likely to gradually improve with the implementation and continued broadening of the government's structural reform agenda, it added. Fitch Ratings, at the same time, acknowledged India's positive GDP growth outlook that stands out among peers. It said that the country's real Gross Domestic Product (GDP) is expected to accelerate to 7.7 per cent in 2017-18. 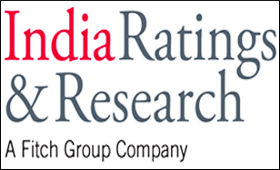 "The agency expects structural reforms to increase growth, along with higher real disposable income supported by the implementation of the 7th Pay Commission recommendations and a monsoon with average rainfall expected by the India Meteorological Department," Fitch Ratings said. "The government has been consistently rolling out its ambitious reforms agenda for almost three years and remains committed to continued reforms." It said, "A rise in foreign direct investment (FDI) inflows to $55.5 billion in 2015-16 shows that India is becoming a more attractive destination for foreign investors. The government has also hinted at further reforms to support FDI inflows in its latest Budget." India is not immune to external shocks, but the country's strong external finances make it less vulnerable than many of its peers, the agency noted. Weak public finances also continue to constrain India's ratings, with a high general government debt, it said and added that there are indications that fiscal policy might become more focussed on bringing down debt. Significant contingent liabilities also continue to emanate from public sector banks, it said. "The banking sector's non-performing loans problem is well recognised by authorities, but continues to linger," it added. "It is not likely that the government's budgeted Rs 700 billion ($11 billion or 0.5 per cent of GDP) capital injection into banks between 2015-16 and 2018-19 will be sufficient. Fitch estimates the banking system, including private sector banks, needs capital of around Rs 6 trillion ($90 billion or 3.2 per cent of GDP in 2018-19)," the agency said.